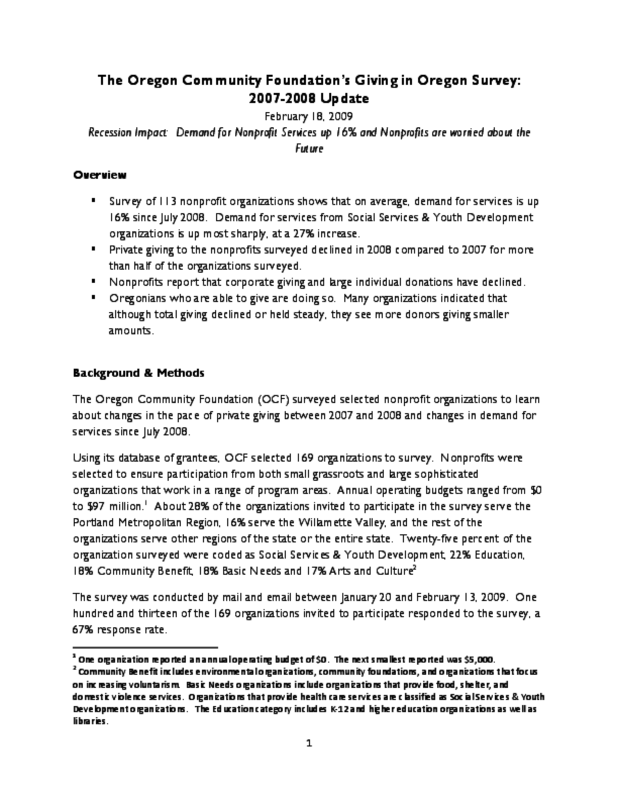 Presents findings from a survey of nonprofits on shifts in the demand for services and in the amounts and numbers of private, corporate, and individual donations. Examines trends by issue area and county served. Considers implications for 2009-10. Copyright 2009 Oregon Community Foundation.